It is definitely that time of year when everything around us seems to be about more, more, more. Whether it is gifts, decor or food, sometimes during this season I like to take a minute and simplify before I get claustrophobic from all of the “stuff” that is about to bombard my home. 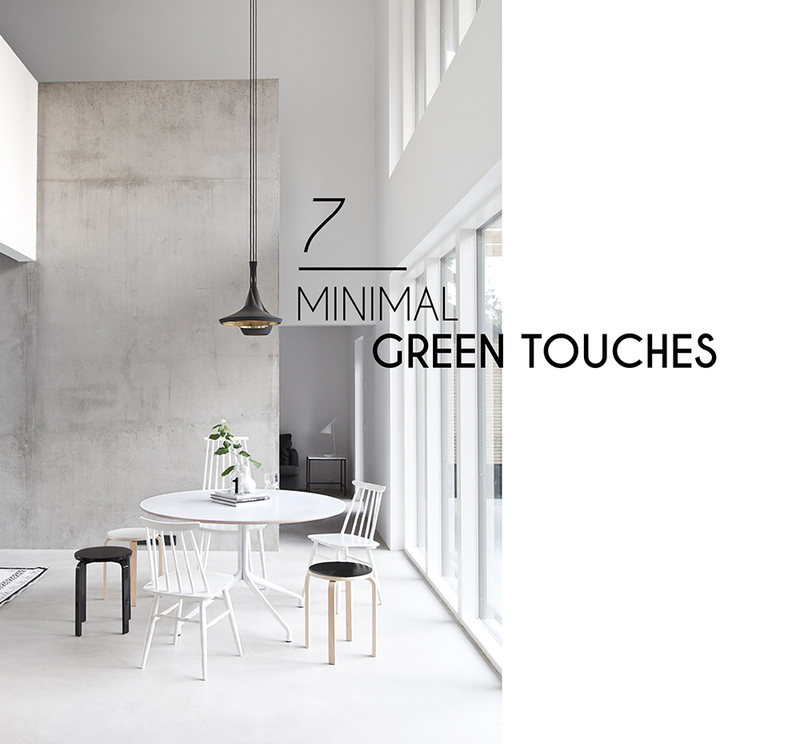 Today I am sharing ten very easy ideas on how to give your interior a minimal look. Sometimes achieving this look can be as simple as adding in a touch of greenery or a statement (understated) cushion. Mid-Century design is all about sleek lines and simple structure, while using materials like wood and leather. 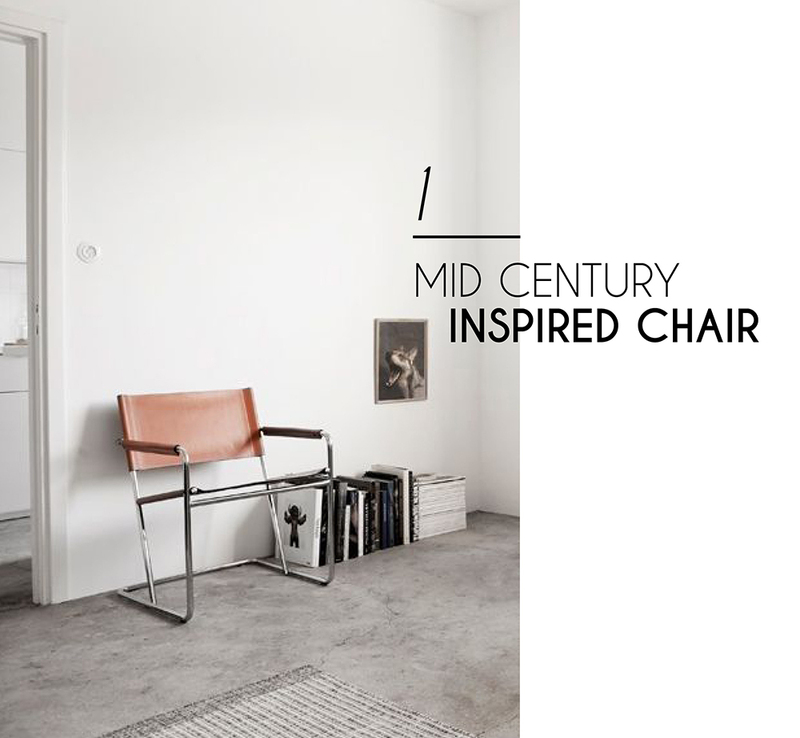 Try adding in a mid-century inspired accent chair to add breathable design to your interior. 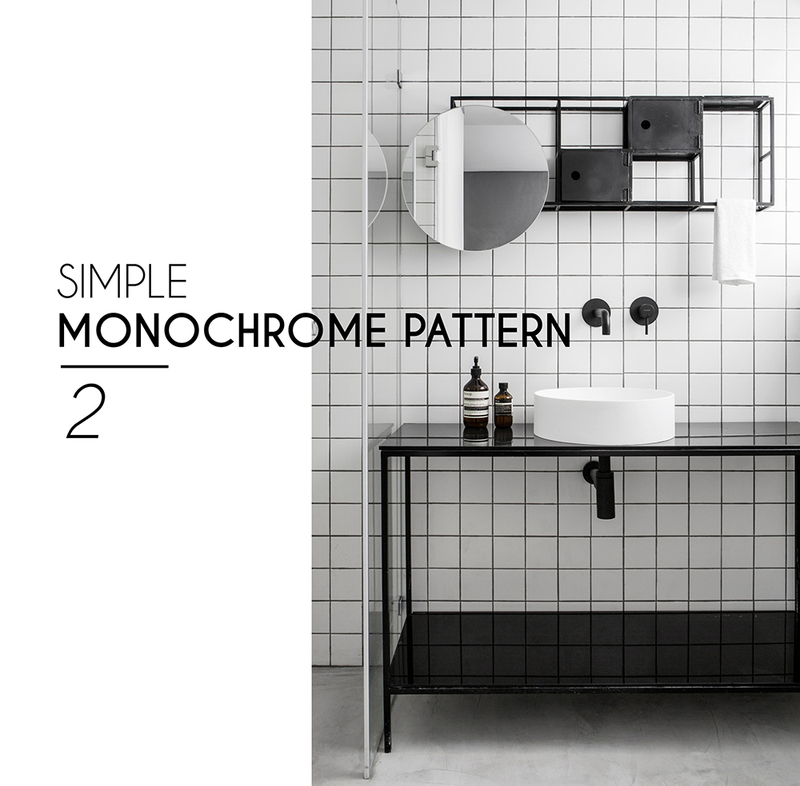 Graphic and monochrome pattern always has a very inviting way adding visual interest while also keeping to the simple, minimal lines that most of us love. I especially love a monochrome square tile. 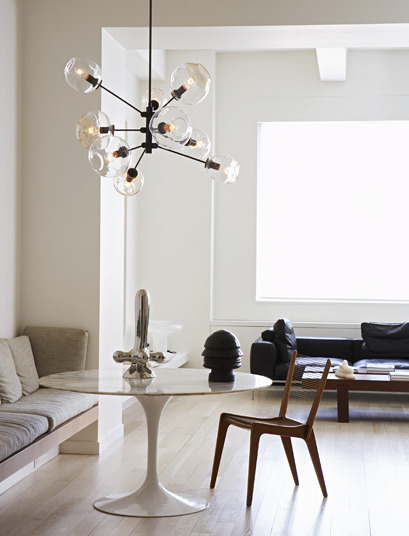 Instead of going over the top with the lighting, try to pair down your pendant design. 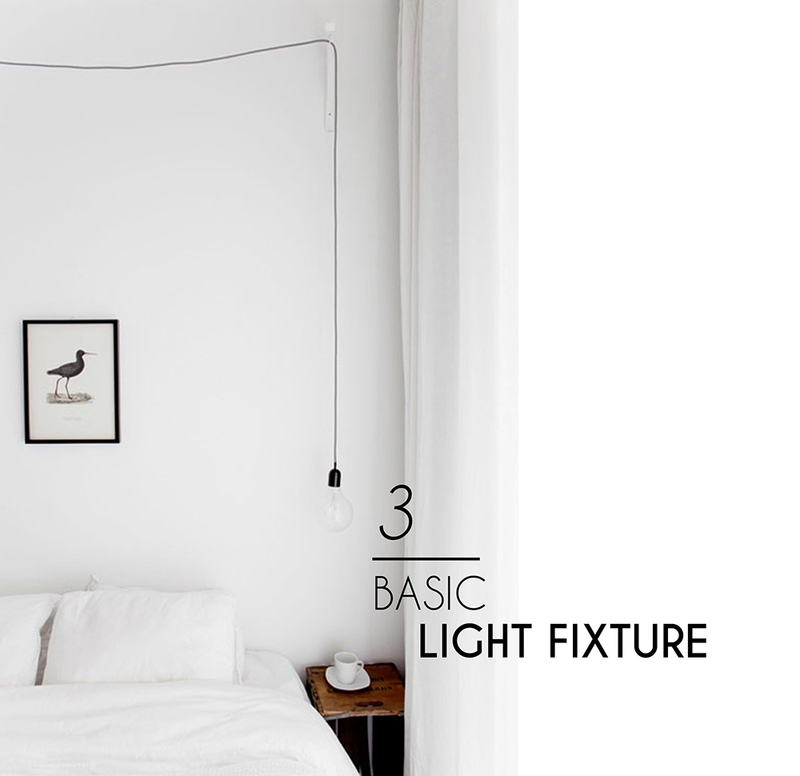 Lighting is always a vital part of interior design so a (minimal) fixture can really make a statement. Minimal design can still involve texture (and it should)! 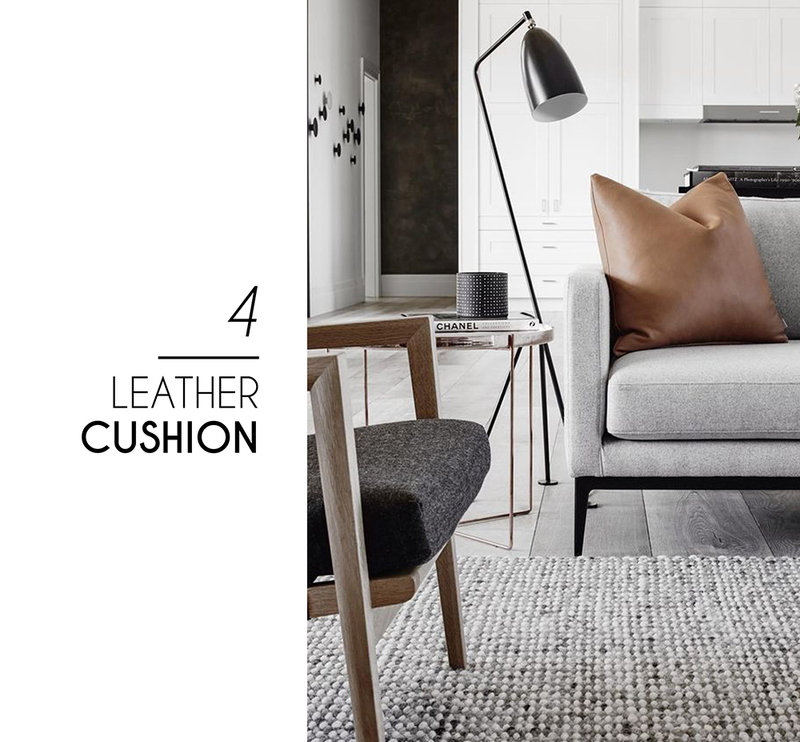 Materials like soft camel leather can give you a warm yet minimal look. Always a sure bet. 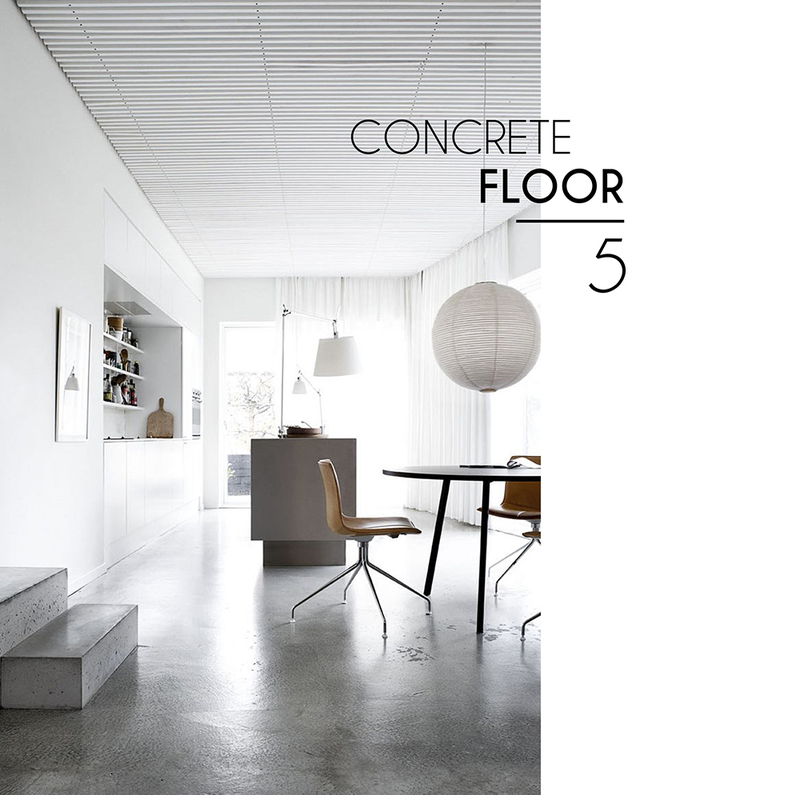 Concrete flooring is such a perfect way to stay simple and understated, yet make for big impact in a space. 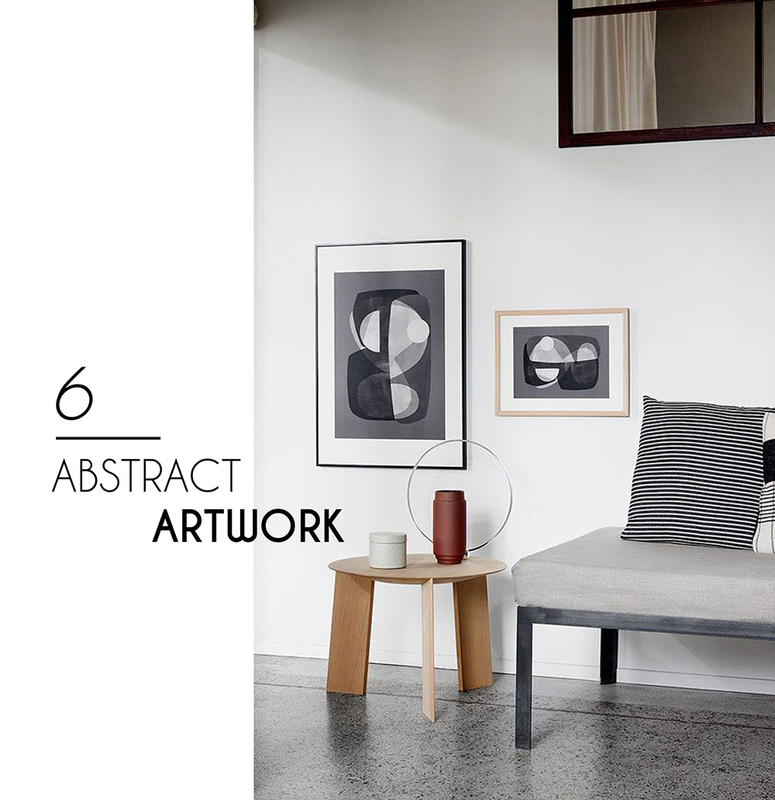 Abstract artwork will always be a perfect match in a minimal space. It is a great way to add in pattern and form, while also letting the space feel sleek. Greenery is in, but if you want to keep your space minimal adding something as small as a stem or two of eucalyptus leaves can create a natural vibe that is contemporary and strong. Bold graphic always look great in a minimal space. 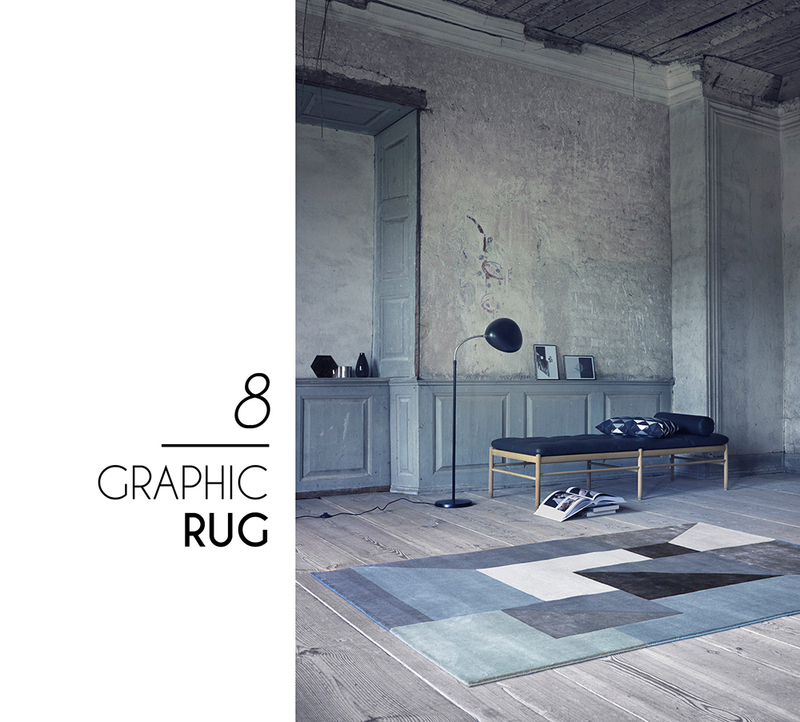 Try to add these on the floor while leaving the rest of the room in a monochromatic color palette. 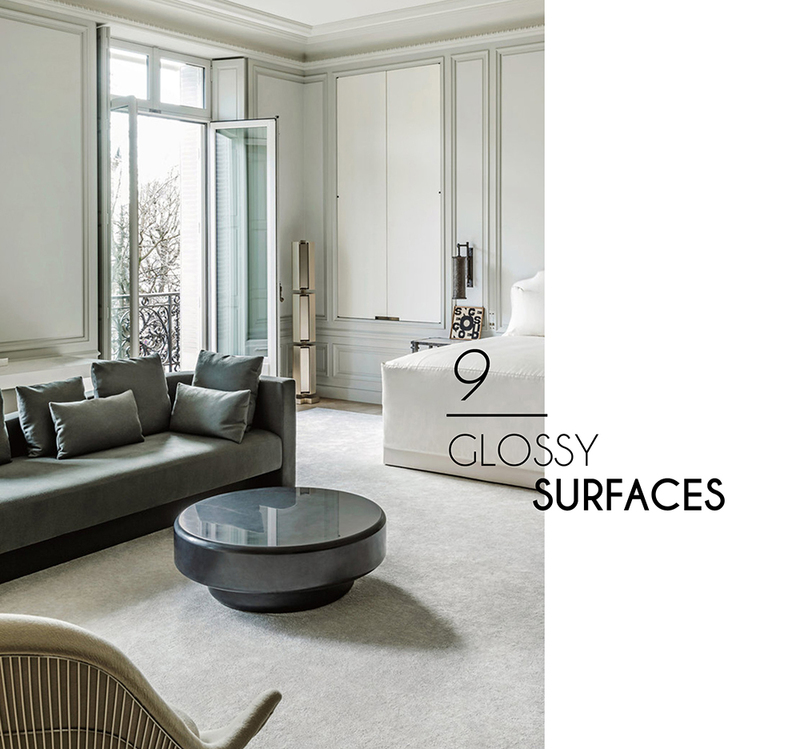 Usually I shy away from glossy surfaces, but an accent of glossy can really pop in a minimal space. 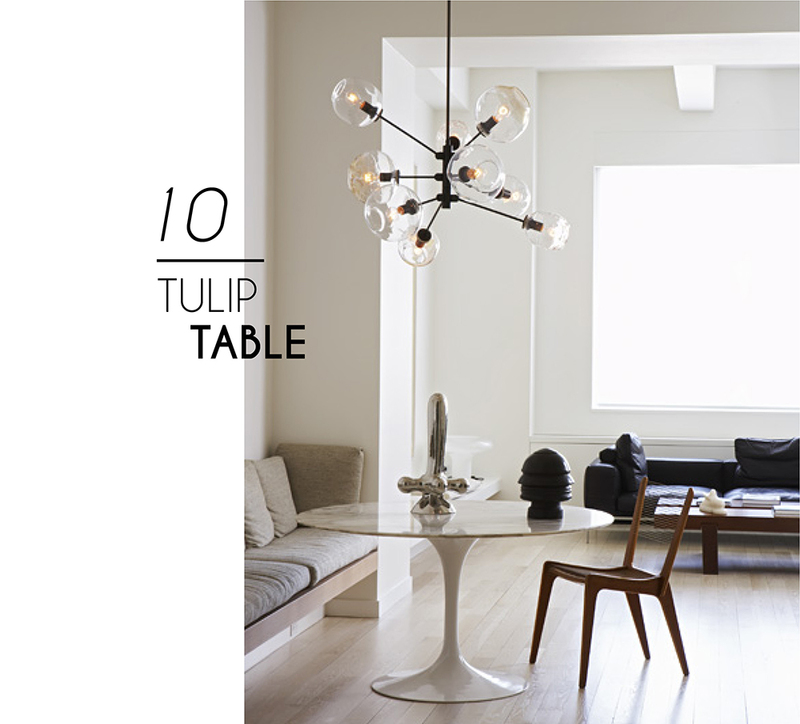 Iconic furniture pieces like the tulip table can provide modern lines but still leave a room to be spacious and not over crowded. This is one of my favorite furniture designs ever.